Your mindset is your personal business. That’s why I keep my business personal. As a business owner, you know you have to scale and groups are the way to do that but as a person, you may not want to share your personal business with a group. Allow me to fill the gap. No group offerings. No big, shiny membership. Just me digging in deep with you to get you from where you are now to where you are meant to be. You might be cringing a little bit to find yourself on someone else’s “Work With Me” page. After all, you don’t need me to tell you that “you are 100% responsible for what happens to you”. You already know that but where you are getting stuck is determining where to go next. Maybe you thought your old garbage would finally be put to rest once you had a successful business. Maybe you thought that by being successful, you would actually start feeling successful and deserving of success. Maybe you thought success came with a secret toolkit that teaches you how to manage all of the things you never thought to anticipate. But now you know: Wherever you go, there you are. Even if you find yourself wondering what the real boss move would be. Even if you find yourself secretly waiting for the real boss to show up. You just need someone to tell you what to do now and that’s where I come in. BOSS your life and your business. I work with business owners and leaders who find themselves in unfamiliar territory–stuck, in the weeds, spinning in circles of self doubt and dissatisfaction–and caught without a plan. 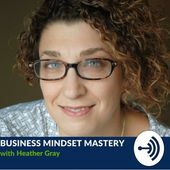 I’m offering you mindset direction in real time so you can boss your business now. Let’s meet so we can get started. Find and own your boss voice and leadership style without compromising yourself or your values. Create the individualized, tailor-made big picture vision for your business that can only come when you move beyond building foundations and putting out fires. Stop fearing next steps by deciding what’s next for you and your business. Manage the fears and doubts that come when you pivot or uplevel. Take the mental chaos out of launch mode. Prevent burnout before it starts and treat burnout before it finishes you and your business. We begin together with a Details Call (Yes, an actual, scheduled Zoom call) where I learn where you’ve been, where you’re at, where it hurts or feels stuck, and where you want to go next. We start to create a vision for the person you want to be and the life and business you want to have. Monday-Friday, 8am to 5pm, PST, I answer and we work through your thoughts and questions together. You make the important decisions you need to make the moment you need to make them. I still have your back. Same results delivered with scheduled calls instead. Don’t need to go that deep? Just need my take on a pressing issue? I’ve got you there, too. Book yourself in to get going right away. What got you here isn’t going to get you there.